In one week’s time, the InfoSec World conference will once again take place in the mystical Disney’s Contemporary Resort in Orlando, Florida… and the eLearnSecurity team will be there too! Are you joining the party? For 25 years InfoSec World has been the “business of security” conference. To manage today’s threats, security practitioners must have the skills to be both a business partner and enabler, and have the technical expertise to prevent, detect and respond to security challenges. InfoSec World welcomes a community of information security professionals from every market and field of study, hailing from more than 100 nations around the world. Join your peers at Disney’s Contemporary Resort in Lake Buena Vista, FL on April 1-3, 2019 and learn from the best. InfoSec World is produced by CyberRisk Alliance, a business intelligence company created to serve the high-growth, rapidly evolving cybersecurity and information risk management marketplace through a diversified portfolio of services that inform, educate, build community and facilitate commerce. Because we just can’t miss out on the opportunity to mix up InfoSec and Disneyland, we’re once again proud sponsors of the InfoSec World conference! We’ll be talking about our various range of IT Security training courses at Booth 306 on April 1 and 2, so feel free to stop by for more information about how we can help you or your security team stay on top of their skills. We’re always happy to meet our students, so don’t shy away and drop by to say hello to the team. 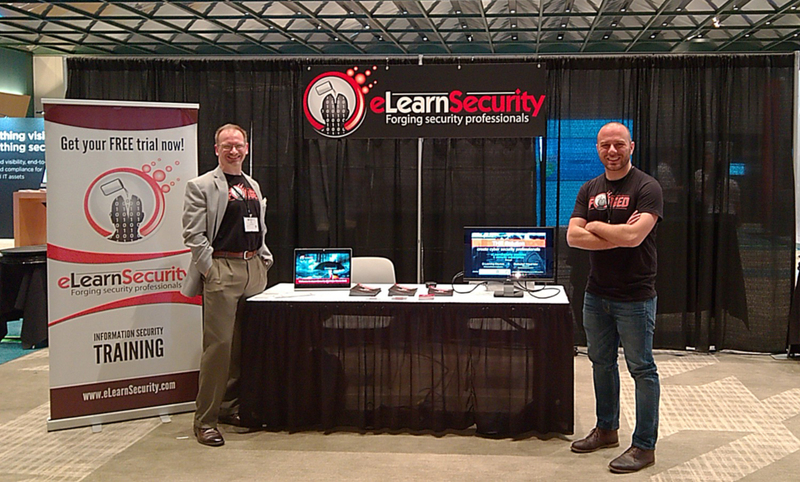 You might just go home with one of our renowned “Forged by eLearnSecurity” shirt. ,CONFERENCE AGENDA, & .REGISTER TODAY.